Hammock Bay is a golf and country club community comprised of the renowned Peter Jacobsen designed golf course. This golf course is the centerpiece of the community and is surrounded by lush tropical vegetation, swaying palm trees, flowering plants, green grass and luxury high rise condominiums and villa style homes. 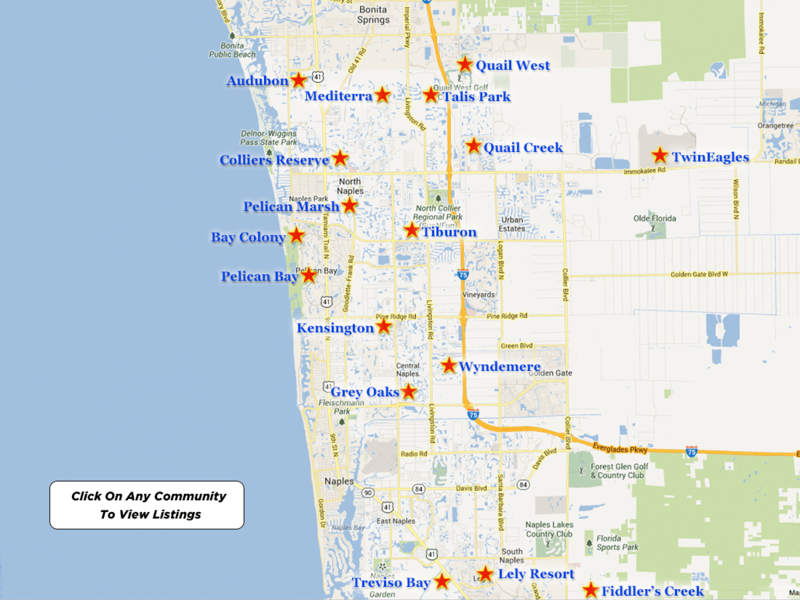 It is situated just about two miles north of beautiful Marco Island and south of Naples. Since it sits on Florida’s beautiful southwest coast it gets the warm ocean breezes, sunny days and moderate temperatures the area is known for. Hammock Bay homes strives to protect and preserve the beautiful natural surroundings. It is recognized as a Gold Certified Signature Sanctuary by Audubon International and it is one of only forty five communities in the world with this designation. This gold certification is the highest level of recognition for sustainable communities that preserve their natural environment. Hammock Bay even has a wildlife habitat on its premises and some of these beautiful creatures are spotted meandering around the property from time to time. Hammock Bay is located in what is known as “the golf capital of the world” and it still manages to offer a unique golfing experience surrounded by natural beauty. The championship golf course has eighteen holes and is a par seventy two course. The natural environment is completely integrated into the entire course. There are rolling lush oak tree lined fairways and white sandy bunkers with well maintained tropical landscaping. There is an extensive practice facility including a spacious driving range, a putting green, a chipping range and the convenience of full service men’s and women’s locker rooms with showers. There are also GPS equipped modern golf carts. Hammock Bay also offers rental services for golf clubs for both right handed and left handed players. The Marriott Resort Marco Island facilitates the championship golf club and aims to provide an amazing experience for each of its members. The onsite PGA professionals and the teaching staff are available to all of the members to teach them lessons, give advice and help with every aspect of the game. By being a member at Hammock Bay Golf and Country Club, you will get the benefits of welcoming, friendly staff, other members who become lifelong friends and a place to socialize, dine, play golf, relax and enjoy life to the fullest in beautiful surroundings with resort style amenities. The focus here is on appreciating the traditions of golf in a welcoming, personalized atmosphere. Members enjoy the privacy of playing golf in a gated community and the location makes it easy to enjoy. Members can choose from an array of membership types depending on what their lifestyle preferences are; if they prefer a social membership or a full golf membership. They can take advantage of organized league play and tournaments as well. There is also a Premier Member’s Club Membership offered via the Marriott Resort Marco Island which include membership privileges at three clubs including Hammock Bay, The Rookery and The Marriott Resort Marco Island. The onsite golf shop is a convenient place to purchase the best high end equipment, accessories, sportswear and apparel for men and women. The shop offers a wide range of popular brand names on clubs, balls and all of the other necessities needed for the game, as well as gifts and other specialty items. The golf shopemployees strive to provide exemplary service and pride themselves on greeting members by their names. There are events and tournaments for beginners, juniors and seniors. There is a complimentary shuttle that takes members the fifteen minute drive from hammock Bay to the KW Marriott Marco Island.